Proverbs 23:7-8 "For as he thinketh in his heart, so is he: Eat and drink, saith he to thee; but his heart is not with thee. The morsel which thou hast eaten shalt thou vomit up, and lose thy sweet words." Baruch 4:28 "For as it was your mind to go astray from GOD: so, being returned, seek him ten times more." You vomit and it's like you never had the meal or nourishment at all. When this happens over and over again, malnutrition of the mind follows. Indoctrination, deceptions and lies are usually very subtle, cleverly disguised and predigested for your consumption. They provide little nutritional value for the intellect of your soul and lead you astray from GOD and His Letter to you. The indoctrinated individual follows propaganda and the unwritten rules of the world system. He has more to talk about with others around him, despite some differences in opinion, because their understanding of reality will be the same. He can get along well with others, who are indoctrinated, but shun those that offer truthful views. Truth will become lies and evil will seem good, because he cannot differentiate between them. Woe to those who hate the true Christians and love the lifestyles of the rich and famous. Governments; large companies; businessmen; celebrities and politicians turn into their idols. The media and education will become their gospel. They're against capital punishment and the right to bear arms. They believe that guns kill people but knives and cars don't. Since when did guns grow brains and develop decision making abilities (evolution)? They have no critical thinking skills. It only makes sense to them due to heavy indoctrination. Brave individuals, with guns, knives and/or vehicles, protect our freedoms both in and outside the nation. The spiritually dead support Sodom and Gomorrah activism and think it's the right thing to do for a teenage girl to go to Molech - an abortion. They value money, financial stability and real estate above all else. They consider wealth and recognition the greatest virtues of man. Money is worthiness in their eyes. Their world is a material one in which they live out carnal imaginations. Woe to you! You make yourselves and your family members out to be little gods and purchase overpriced real estate to serve as the temple for your idols. Having high status and money is the end game to you. If you equate everything successful to material objects, you'll have nothing spiritually. Just a poor man with lots of things. Lovers of Truth will always seek GOD, for He is the details, and those who don't love Truth, reject CHRIST and dismiss anything outside the systems and indoctrination of men. You think conspiracies are childish, yet your rulers are children. Isaiah 3:4 "And I will give children to be their princes, and babes shall rule over them"
When members of the indoctrinated camp read facts and truths about the Bible and world events, they will always give credit to the larger, more credible organization/man stating the information. Popularity, status and wealth mean truth to the worldly. The indoctrinated man reads something true on a small or personal blog, yet after he sees the same subject written falsely on a well-known, media/news site, he automatically gives credit to the large institution. Truth has nothing to do with the systems of men. Oh, but he's a professor, doctor or a so-called reverend of a large church... he must be right because he has status and/or money. That's dumb. If your eyes and ears open only for money, you are blind. 2 Corinthians 10:7 "Do ye look on things after the outward appearance? if any man trust to himself that he is Christ's, let him of himself think this again, that, as he is Christ's, even so are we Christ's." James 2:3-4 "And ye have respect to him that weareth the gay clothing, and say unto him, Sit thou here in a good place; and say to the poor, Stand thou there, or sit here under my footstool: Are ye not then partial in yourselves, and are become judges of evil thoughts?" Ecclesiasticus 11:21 "Marvel not at the works of sinners; but trust in the LORD, and abide in thy labour: for it is an easy thing in the sight of the LORD on the sudden to make a poor man rich." There are people in this world, although few, who share Truth and Knowledge, grounded in the WORD, out of love, inspired by things other than self gain, monetary incentives, recognition or job security. This is where some real work (spirituals treasures) is done. Look at your own life and examine what you actually do that's not just for yourself. Someone who has compassion and love will try and share it with others and so GOD'S remnant do so from generation to generation. Isaiah 10:20-21 "And it shall come to pass in that day, that the remnant of Israel, and such as are escaped of the house of Jacob, shall no more again stay upon him that smote them; but shall stay upon the LORD, the Holy One of Israel, in truth. The remnant shall return, even the remnant of Jacob, unto the mighty GOD." Ezekiel 6:8 "Yet will I leave a remnant, that ye may have some that shall escape the sword among the nations, when ye shall be scattered through the countries." Romans 11:4-5 "But what saith the answer of GOD unto him? I have reserved to myself seven thousand men, who have not bowed the knee to the image of Baal. Even so then at this present time also there is a remnant according to the election of grace." There has always been a remnant that understands GOD'S WORD and the events to come in this generation. The evil one and his children supress the works and teachings of the remnant and replace them with their own (corrupt, rewritten) versions of history, doctrines and teachings. Many people will believe the stories covered by the news/media, theories and history stated in textbooks, and the doctrines of men taught by the church systems, because indoctrination has conditioned them to accept and never question such authorities. It is very difficult for the average person to accept that he has been fed lies all of his life. People put their trust in the words and systems of men, yet, everything coming from man is fallible. The hypocrisy and double-mindedness of it all is that the atheist believes that man created God. And if you believe a fool, you become the bigger fool. Unfortunately, this world is reversed and the masses turn to fools for knowledge, while the truly wise remain invisible to their eyes. Everything is being turned upside down and backwards. That is satan's agenda. When he arrives in this final generation, the whole world will whore after him, thinking he's the Messiah, when he's the false christ, or antichrist. That's how deceived the world is in these end times, a reprobate generation, following false shepherds and leaders. Ecclesiastes 10:6-7 "Folly is set in great dignity, and the rich sit in low place. I have seen servants upon horses, and princes walking as servants upon the earth." Right now, there is no denominational church that teaches the real WORD of GOD, beginning from the Book of Genesis, chapter by chapter and verse by verse. The Truth is hidden from the mainstream church starting with the first two verses of Genesis. This will be in another study to come. 1 Peter 5:8 "Be sober, be vigilant; because your adversary the devil, as a roaring lion, walketh about, seeking whom he may devour:"
1 Corinthians 15:26 "The last enemy that shall be destroyed is death." "If you know the enemy and know yourself, you need not fear the result of a hundred battles. If you know yourself but not the enemy, for every victory gained you will also suffer a defeat. If you know neither the enemy nor yourself, you will succumb in every battle" (Sun Tzu; Art of War). Unfortunately, most Christians are completely unaware of the enemy or how he operates. They will warn each other about deception and the devil, but all they can see and understand is the propaganda being pushed to them. The only evil they know of are the common criminal variety. They can't wrap their heads around the fact that the devil spends a lot of time working in the pulpits and on the minds of Christians, through indoctrination, false doctrines and the traditions of men. What did satan tempt CHRIST in the wilderness with? Scripture. Of course, CHRIST cannot be tempted, but he set the example to teach us important lessons. 2 Corinthians 11:13-15 "For such are false apostles, deceitful workers, transforming themselves into the apostles of Christ. And no marvel; for Satan himself is transformed into an angel of light. Therefore it is no great thing if his ministers also be transformed as the ministers of righteousness; whose end shall be according to their works." The world is eating out of the devil's hands everyday and have no idea. They don't understand that the evil one's children work to set up a one world system, government and religion to usher in their father, so he can claim to be savior of the world. Know your enemy. Never underestimate or overestimate him. The only way you can achieve this is through GOD'S wisdom, in His WORD, because worldly wisdom just won't cut it. Examine and prove to yourself whether you are in the Faith. Prove that you belong to CHRIST through your life. Reprobates are rejected, play Christians. When you play or only pretend to be a real Christian, ye be a reprobate. Show me a man's works and I'll see his faith. James 1:6 "But let him ask in faith, nothing wavering. For he that wavereth is like a wave of the sea driven with the wind and tossed." James 1:7 "For let not that man think that he shall receive any thing of the LORD." James 1:8 "A double minded man is unstable in all his ways." Pray and ask GOD for wisdom and understanding in His WORD. If you truly seek Him and value Truth above all gold, ask in faith and He will feed you with Meat, through your diligent study of the WORD. Indoctrination and the traditions of men have left many individuals malnourished, even to the point of famine. The indoctrinated mind is like a leaf blowing in the wind and wavers like a wave, of the sea, driven and tossed by the wind. Indoctrination ultimately produces double-mindedness. "DOUBLETHINK means the power of holding two contradictory beliefs in one’s mind simultaneously, and accepting both of them" (Orwell; 1984). "It need hardly be said that the subtlest practitioners of DOUBLETHINK are those who invented DOUBLETHINK and know that it is a vast system of mental cheating. In our society, those who have the best knowledge of what is happening are also those who are furthest from seeing the world as it is. In general, the greater the understanding, the greater the delusion; the more intelligent, the less sane." "And if all others accepted the lie which the Party imposed— if all records told the same tale—then the lie passed into history and became truth. ‘Who controls the past,’ ran the Party slogan, ‘controls the future: who controls the present controls the past.’ And yet the past, though of its nature alterable, never had been altered. Whatever was true now was true from everlasting to everlasting. It was quite simple. All that was needed was an unending series of victories over your own memory. ‘Reality control’, they called it: in Newspeak, ‘doublethink’." "The Ministry of Peace [Hidden Dynasty of Politics/Government] concerns itself with war, the Ministry of Truth [Hidden Dynasty of Media/Education] with lies, the Ministry of Love [Hidden Dynasty of Religion] with torture and the Ministry of Plenty [Hidden Dynasty of Commerce/Economics] with starvation. These contradictions are not accidental, nor do they result from ordinary hypocrisy; they are deliberate exercises in DOUBLETHINK. For it is only by reconciling contradictions that power can be retained indefinitely" (Orwell; 1984). Zecharia 1:20 "And the LORD shewed me four carpenters." Zecharia 1:21 "Then said I, What come these to do? And he spake, saying, These are the horns which have scattered Judah, so that no man did lift up his head: but these are come to fray them, to cast out the horns of the Gentiles, which lifted up their horn over the land of Judah to scatter it." these: i.e. these four smiths (or it may denote the supernatural princes over the kingdoms). They represent the Divine agencies raised up, by which Jehovah will overthrow them (Bullinger; Companion Bible). Revelation 6:1 - 2 "And I saw when the Lamb opened one of the seals, and I heard, as it were the noise of thunder, one of the four beasts saying, Come and see. And I saw, and behold a white horse: and he that sat on him had a bow; and a crown was given unto him: and he went forth conquering, and to conquer." 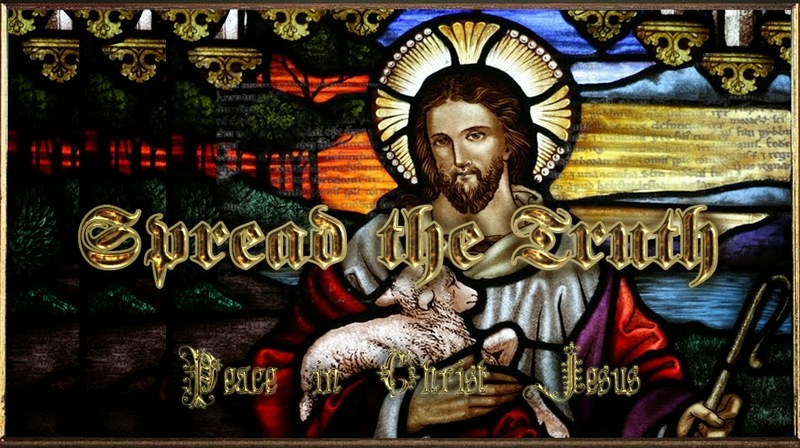 The Lamb is Christ. The four beasts are the zoon, protectors of the Throne of GOD. The color white is symbolic of purity and light. This white horse is the Dynasty of Religion, but the one riding it is satan, de facto. The devil is wearing a crown and has a cheap, fabricated bow with no arrows. Satan will come as the false, or "instead of", Christ. The evil one is a fabricator, an imitator or a phony. Bow = G5115. toxon (tox'-on); From the base of G5088; a bow (apparently as the simplest fabric): - bow. Revelation 6:4 "And there went out another horse that was red: and power was given to him that sat thereon to take peace from the earth, and that they should kill one another: and there was given unto him a great sword." The second horse is red and its color symbolizes governmental or political power. Many brave souls have shed blood for our freedoms, so "red" is often symbolic of human life. The sword represents war. Red is also a popular color used for national flags, especially with socialist or communist countries, such as Russia (Esau). The Dynasty of Politics and Government will "take peace from the earth" by replacing it with false peace (through false flags and terror) and welcoming a false messiah, satan. Double-mindedness and hypocrisy will reach its pinnacle and turn into the great apostasy of the end times. Revelation 6:5 - 6 "And when he had opened the third seal, I heard the third beast say, Come and see. And I beheld, and lo a black horse; and he that sat on him had a pair of balances in his hand. And I heard a voice in the midst of the four beasts say, A measure of wheat for a penny, and three measures of barley for a penny; and see thou hurt not the oil and the wine." The color black signifies famine and the black horse represents the Dynasty of Economics/ Commerce/ Monetary System. The real famine in the end days is not for physical bread or water but for the WORD of GOD (Amos 8:11-12). 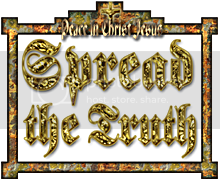 The famine is occurring now and the elect of GOD are being sealed with Truth. No man without Truth and the Key of David will be able to withstand the lies, deception and indoctrination of satan and his evil world system. The pair of balances is referring to the global money and usury system. For the love of money is the root of all evil (1 Tim 6:10) and it's partner in crime is usury. A measure of wheat for a penny and three measures of barley for a penny refers to a false balance, of unfairness and oppression, through the control of the money system and economy. A measure of wheat or three measures of barley for a penny is a day's wages for a loaf of bread. Do you see what's going on? beasts = G2342. thērion (thay-ree'-on) - Diminutive from the same as G2339; a dangerous animal: - (venomous, wild) beast. The pale horse is symbolic of death, which is satan, and represents one of his roles as antichrist. The "beasts" are no ordinary beasts, but wild and venomous ones. It refers directly to the council of cain, the offspring of the poisonous serpent, satan. The venom is the indoctrination from cup of devils, the leaven and carnal circus that spread through the masses, and is part of the dynasty of education and media.